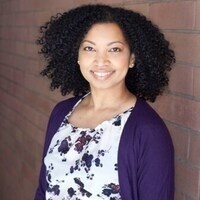 Tracey Baptiste is a New York Times bestselling author best known for the acclaimed middle grade novels The Jumbies and The Rise of the Jumbies. A third in the Jumbies series, The Jumbie God's Revenge will be released in Fall 2019. She has also written Minecraft: The Crash as well as eleven other fiction and nonfiction books for children, and contributed to three anthologies including the adult horror anthology Sycorax's Daughters which was short-listed for the Bram Stoker award in 2018. Her story for that anthology, titled “Ma Laja” was listed as one of the best short stories of 2018. She can be reached via her website at www.traceybaptiste.com. Find her on Twitter @traceybaptiste and on Instagram @traceybaptistewrites. Caron Levis, Faculty, Creative Writing, moderator.